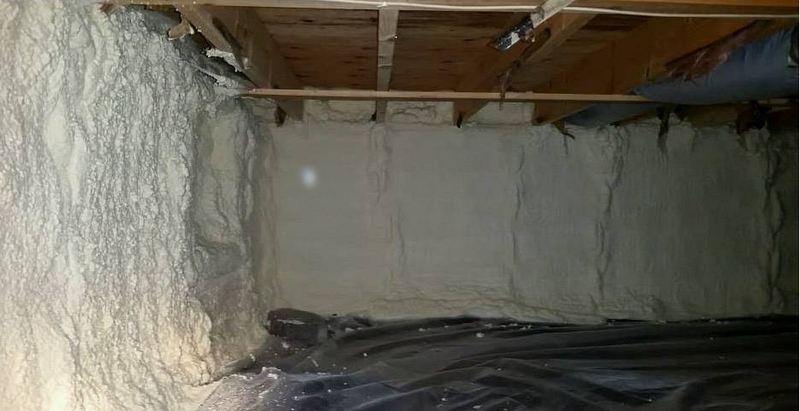 Closed cell spray foam insulation is a two-part chemical component, that when sprayed onto a surface, expands to provide a superior air and vapor barrier. The benefits of spray foam insulation include reduced heat transmission, barrier to moisture and vapor, and durability. The addition of spray foam on exterior walls provides a vapor barrier. Spray foam can be applied with or without traditional cellulose or fiberglass insulation. Spray foam seals ducts, improving air flow to your living spaces. Stop cold feet and feel how good insulated crawl spaces make your home. Exposed to the outside, sealing this space is crucial to preventing air leaks.